The Library Voice: New Book Aims To Help School Librarians Become Learning Leaders in Digital Age! 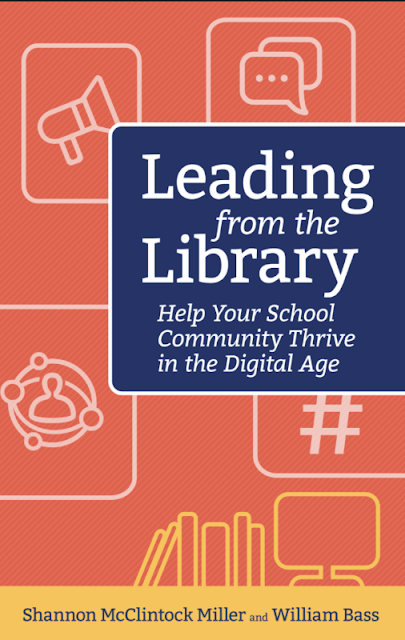 New Book Aims To Help School Librarians Become Learning Leaders in Digital Age! 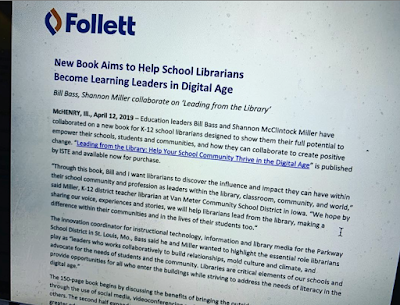 Follett has released a press release focused on Bill Bass and I's new ISTE book, Leading from the Library...Help your School Community Thrive in the Digital Age. We are thrilled to share our book as we know it will help others lead from the library and within their school community too. 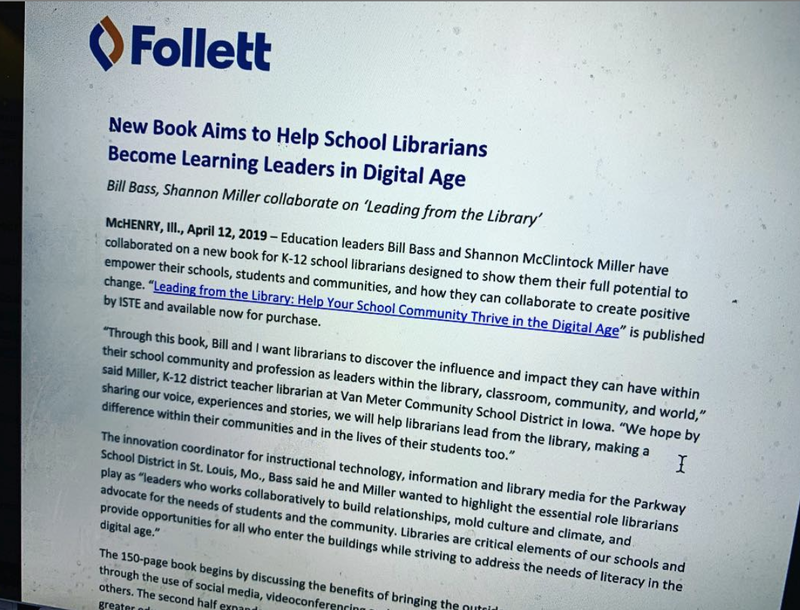 McHENRY, Ill., April 12, 2019 – Education leaders Bill Bass and Shannon McClintock Miller have collaborated on a new book for K-12 school librarians designed to show them their full potential to empower their schools, students and communities, and how they can collaborate to create positive change. “Leading from the Library: Help Your School Community Thrive in the Digital Age” is published by ISTE and available now for purchase. 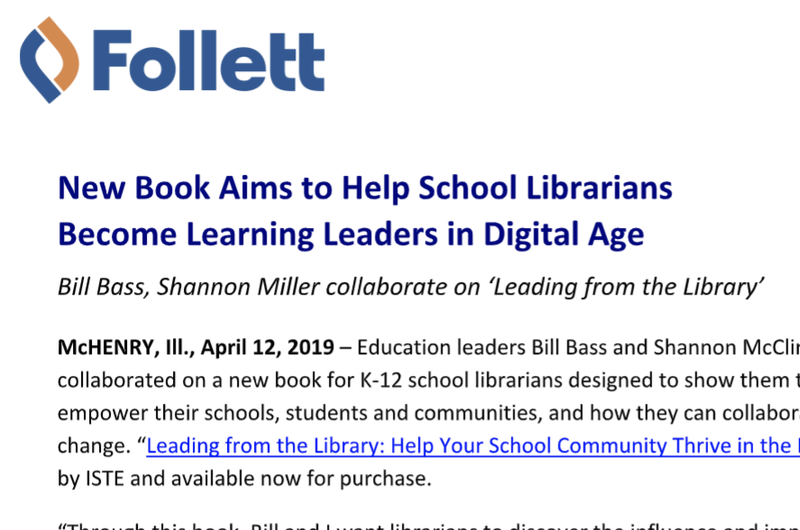 The new book can be pre-ordered now ($20.97/ISTE members and $27.95/non-members) by visiting ISTE at https://id.iste.org/connected/resources/product?id=4180. We can't wait to share our book with all of you.